The Junior Flower Show is coming to Highland again! Entries must be on Highland lobby tables on Wednesday, January 21. Judges from the Philadelphia Horticultural Society will be here on Friday, January 23. Live growing plants (Horticulture Class entries) must be in the care of the student at least a month in advance. Optional afterschool workshops for the artistic classes will take place in January—please see the flyer in this week’s packet. Highland’s Best of Show will be on display at the Philadelphia Flower Show and will be awarded two tickets to Philadelphia Flower Show. Ribbons will be awarded to all. For more in-formation, including the official rules and additional details, visit http://phsonline.org/learning/junior-flower-show. Please contact Ms. Lee-Kim or Ms. Forrest to register. The Highland Science Fair happens this Friday, January 9, 6:30–8:00PM in the gym. You’ll be able to see Highland students’ science experiments and exhibits and get a homework pass! Please see the flyer in this week’s packet for information about Highland’s Evening of Service—in commemoration of the Rev. Dr. Martin Luther King, Jr. Day of Service—on Thursday, January 22 at 6:00PM, and the collection leading up to it. This year, Highland families will be donating to and making care packages for the Abington Memorial Hospital Pediatric Unit and Saint Mary’s Villa for Children and Families. Destiny Is Calling: Who Will Answer…? Were you born with the spirit of adventure? Are you looking for fame, fortune, glamor? Do you need a little more AMAZING in your life? Well, then, perhaps YOU are the right person to take over as Husky Happenings Editor next year. If you’re interested—or if you can be talked into being interested—please contact John Spiegelman… TODAY! Congratulations to Ms. Degennaro’s first grade class for bringing in the most box tops for December. 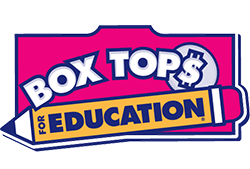 Be sure to get your Box Tops for Education in this month and see if you can beat them in January! 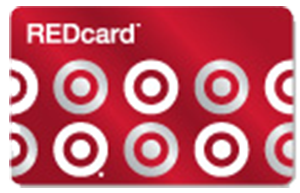 We also count Labels for Education in the totals. Thank you to everyone at Highland who contributed.